Overdrawn at the Exposure Bank: Timbers v Crew Predictions - Can Timbers make it 4? Timbers v Crew Predictions - Can Timbers make it 4? Welcome back to the Timbers prediction thread. Last week's impressive win over the Houston Dynamo by a 4 to 2 margin gave Spot, Tortie and myself bragging rights for picking the winner, but nobody was able to predict the accurate score. This week's opponent is the Columbus Crew, and the last time Portland went all the way out to Ohio was in 2015 - and we all know what happened then. The prediction thread has also gained another participant, who is very famous for her prognostication skills. 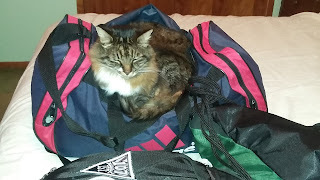 Spot loves soccer bags. It's her way. Spot was generally pleased with picking the winning team, but as with last week, she refused to provide a score. She head butted my hand more when I asked about the Timbers, so it would appear she's taking the boys in green once again. Perhaps someday she will actually provide a score, but she is also a cat. The fact she actually responded is impressive. 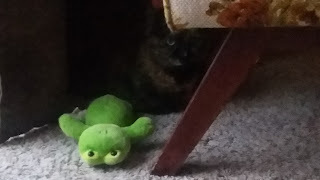 Tortie is hiding but she can still predict soccer. Tortie - 2 to 0 Timbers. Tortie appeared excited about choosing the 2 goal margin correctly, but upon further review, it was the fact I had the brush. When I asked about Timbers or Crew, she eeped more about the Timbers. When asked about the score, she flopped down twice on her side for Portland and ran off when I asked about the Crew. Okay, sounds like 2 to 0 for her. 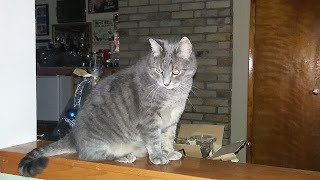 GB asks where is the food. Seriously, I can't find it. 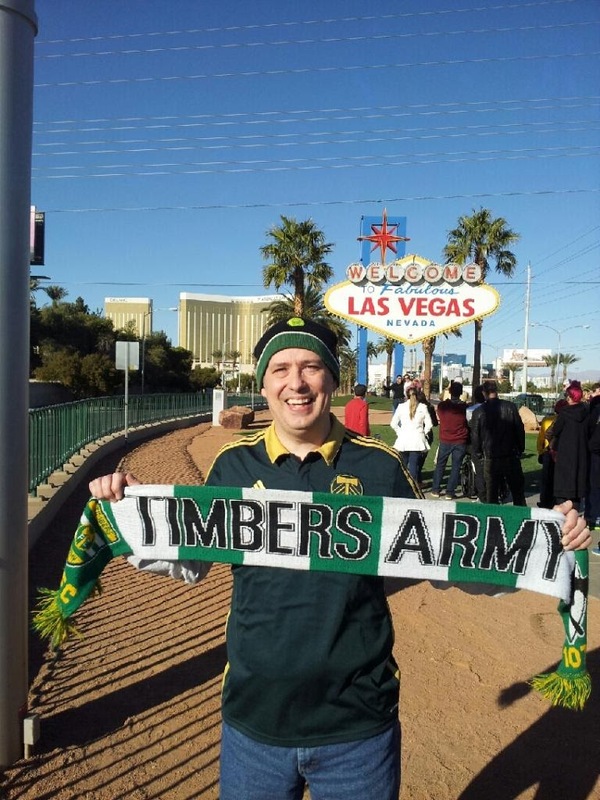 GB - 1 to 0 Timbers. GB was very sleepy when I talked with him about the match, but it could have been his busy day of begging for food or attention that had him exhausted. He yawned when I asked about the Crew, so I think that means Timbers. Score wise, I got one headbutt and then he left the room, so I would imagine that as a 1 to 0 score. Scarf plus Vegas equals good. Kip - 2 to 1 Timbers. 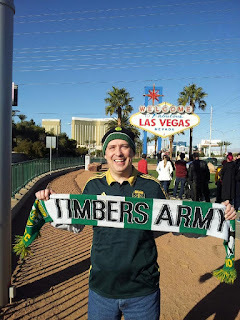 After calling the win in somewhat of a track meet score, I was excited about the Timbers 3 - 0 - 0 start with 10 goals scored versus 3 conceded. Offensively, this team is off to an incredible start, but Darlington Nagbe and David Guzman are both out for the weekend on international duty, so Portland is not at full strength. However, the pieces that are traveling should be enough to get a win considering Diego Valeri has as many goals this year as the entire Crew. Defensively, Columbus is adjusting to new players but their strategy of playing conservatively might keep the tempo down just a bit. It won't be free flowing soccer, but Portland should get 2 goals and the Crew will score one to make it interesting. We always win 2 to 1, right? 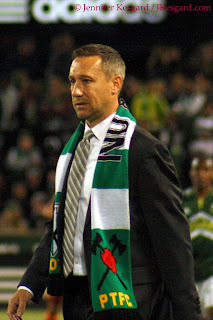 Caleb Porter reacts to Jennifer's latest very accurate prediction. Jennifer - 7 to 0 Crew. Nothing lasts forever, especially a positive Timbers streak. It's all over, folks. We've had a short reprieve from the wailing and tears, but they will return with a vengeance this Saturday. Keep the tissues handy as the goal differential disintegrates along with multiple ACLs"
Thank you for your comment. Your time is very important to us. Timbers have started the 2017 MLS season with three wins, the Crew with a draw, a loss, and a 2-0 win away to FC Dallas last weekend. I wouldn't be surprised to see the in-form Valeri and Adi getting on the scoresheet for the Timbers in s fixture that hasn't seen a Columbus win since 2013. Nice. Duly noted. Welcome back! Dealing with My Shadows...all of them.